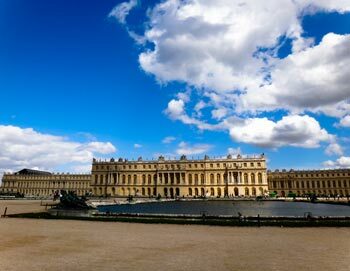 Visit the beautiful Palace of Versailles outside of Paris and explore the palace with an informative audio guide explaining the rich history of the world-famous palace. With prebooked tickets you can skip the line to the entrance and start exploring the palace. 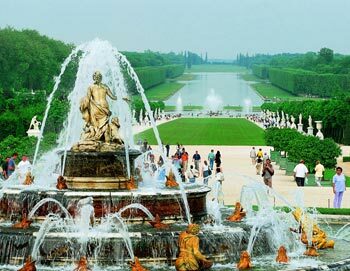 This half-day excurtion to the Palace of Versailles will take you back in time and show you an fascinating area of French history. The Palace of Versailles is an UNESCO World Heritage site as well as the former residence of the Kings of France Louis XIV, Louis XV and Louis XVI from 1682 until the French Revolution in 1789. 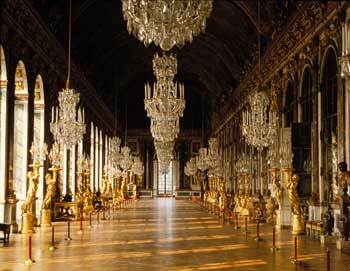 The Palace of Versailles consists of over 700 rooms and stretches over more than 721,000 square feet. Your audio guide will help you find your way during your visit and tells you about the exciting history of the palace. To enhance your visit, we’ll provide you with special audio guides on the bus to Versailles with facts about the palace to help you better plan what you want to see once you arrive. 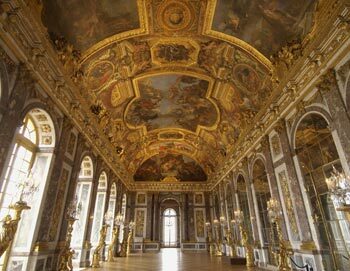 Your entrance ticket gives you access to the Royal Apartments, the Hall of Mirrors, the Dauphin’s and his wife’s Apartments, the Gallery of Battles and much more. When you arrive at the Palace of Versailles, you'll get a free audio guide, available in nine languages incl. French, English, German, Spanish, Italian, Portuguese and Japanese. 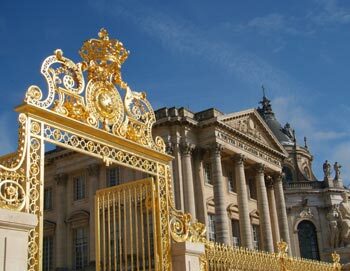 The Versailles Tour starts and ends at our agent PARISCityVISION's office in Paris, where the luxury coach will pick you up and take you to Versailles. Please be there 20 minutes before the tour starts. 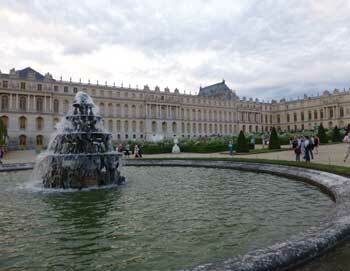 The tour lasts 4 hours, including transportation to and from the Palace of Versailles. 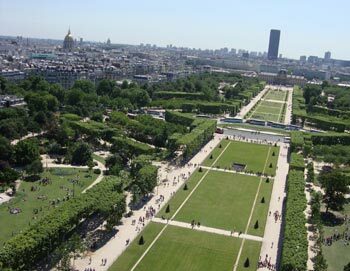 - Please note that entrance to The Versailles Gardens (€ 8) is not included in the ticket price, but can be purchased on site. - We strongly advise you to wear comfertable shoes, since there is parquet flooring in the rooms and cobblestones in the courtyard). - Strollers are not permitted inside the palace. - Access to the palace is challenging for those with reduced mobility. - Photography without flash is permitted inside the palace. - Tuesday mornings are not recommended due to the high number of visitors. The tour operates daily at 8 AM/8:45 AM & 2 PM.